Hear the horses thunder across the turf. Sip a cool glass of champagne. Watch the ladies and gentlemen in stylish hats while enjoying scrumptious hors d’oeuvres! Sound like fun? Join us to watch Weidel Polo Cup on August 19 at 1 p.m. at Tinicum Park in Erwinna, PA. Tickets are $150. Proceeds to benefit HomeFront. Register below. 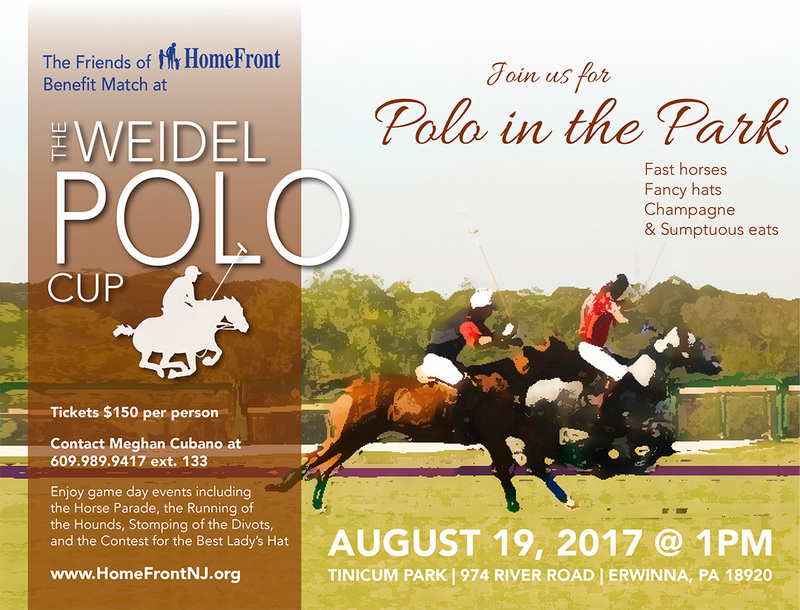 Join us to watch Weidel Polo Cup on August 19 at 1 p.m. at Tinicum Park in Erwinna, PA. Tickets are $150. Proceeds to benefit HomeFront.